It rained. 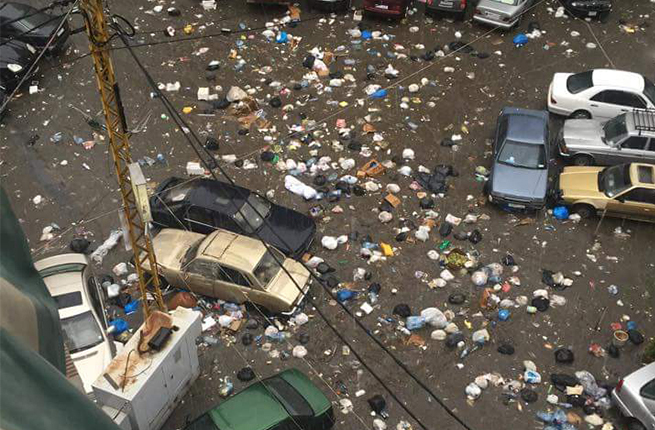 And, as expected, Lebanon drowned in garbage. What else can we say other than we’ve been screaming for months that garbage needed to be removed before the rain started, other than we’ve been warning for month about what we’ve seen yesterday. For the moment, I will not develop any further. I just invite you to watch what has become of Lebanon and bow our head in shame because we let it happen. هكذا استفاق الاهالي في بعض المناطق ! !